Our 24 hour pet hospital is open 24/7 and is the most comprehensive specialty veterinary hospital in western Pennsylvania. When you have a pet emergency, seconds count. We want you to know, the Pittsburgh Veterinary Specialty & Emergency Center is ready. If your pet has a condition that requires a specialist’s expertise, we’re ready for that too. Our veterinarians, vet technicians and support staff work closely together to provide the comprehensive, compassionate care your pet needs and deserves. Emergency: In an emergency, call ahead to your PVSEC vet and let us know you’re coming. No appointment is necessary for our emergency vet. Learn more about your emergency visit. 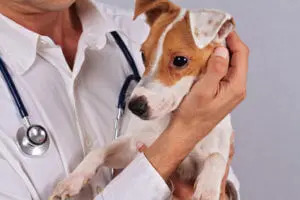 The largest and most comprehensive specialty veterinary hospital in western Pennsylvania, we are fully equipped as a 24 hour emergency animal hospital and as a center for advanced specialty care. 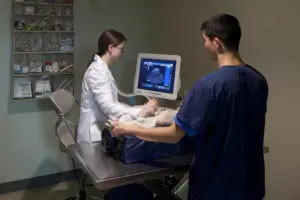 We use sophisticated diagnostic equipment such as a CT scanner, linear accelerator, four ultrasound machines and Western Pennsylvania’s only high-field MRI. Our hospital features a 24 hour intensive care unit, multiple surgical suites and dedicated suites for endoscopy, ultrasound and oncology. Our staff includes a veterinary social worker who is available to assist clients who are in the midst of making difficult decisions about their pets. We are part of the BluePearl network of veterinary specialty and emergency hospitals.